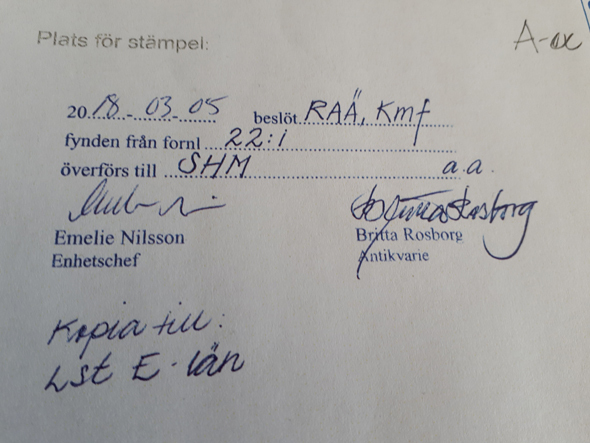 In Sweden all archaeological finds belong to the state. The state can decide to transfer the ownership of archaeological finds from the state to another institution if that institution is capable of preserving archaeological assemblages. When an excavation has been reported, it is the National Heritage Board that decides who is to be responsible for its finds, the state or another public body such as a provincial or a larger municipal museum. The National Heritage Board has, in the case of the Alvastra pile dwelling, decided that the state will retain the ownership of the archaeological collections from the site. They will stay at the Swedish History Museum where they have been stored since they were dug up. The National Heritage Board bases its decision on the archaeological report. 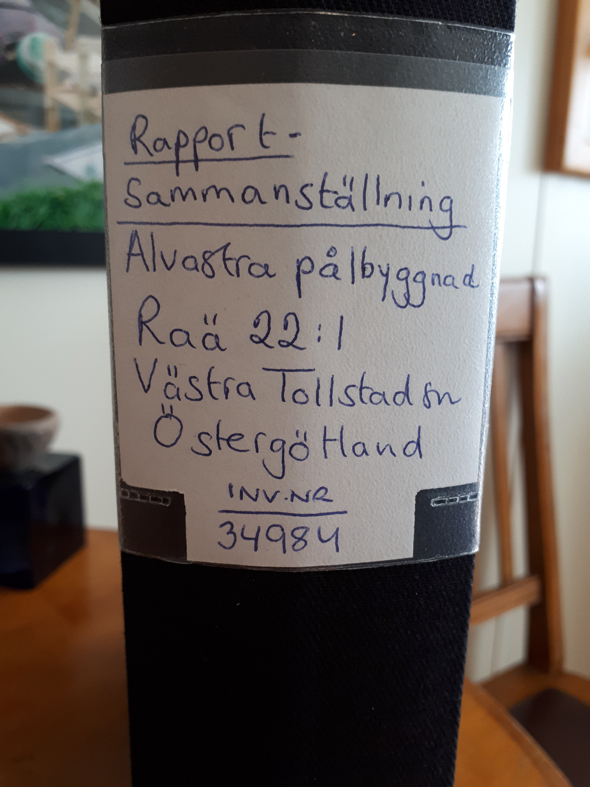 For older excavations, that have for one reason or another not been reported, the board has a special form of report – compiled report (Swedish: rapportsammanställning). A compiled report for Alvastra was produced within the present project and submitted to the board at the beginning of this year. Reports of research excavations are not accessible in the Swedish database Samla so a translated version of this report will be available on the digital platform which is to be produced within the Alvastra project.